Enjoy traveling, Time with family and friends, enjoying the blessings life has offered. Still enjoy concerts. Addicted to college football. Love classic cars. Recently purchased a 1964 Thunderbird. Love animals, especially dogs. Love classic muscle cars and football. Probably complete, but look forward to new experiences and acquaintances. John Shotwell has left an In Memory comment for Jane Short. I was shocked and saddened to receive the news of Jane's passing. Rest in peace, lovelylady. John Shotwell updated profile. View. 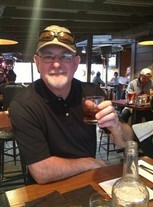 John Shotwell changed profile picture. John Shotwell has a birthday today. John Shotwell added a photo to profile gallery. John Shotwell posted a message. Linda Marlow (Jo) Shotwell. December 10, 1949- August 14, 2017. She was a beautiful wife, mother, friend and accomplished business woman. It is indescribable, how much I, as well as family, friends and associates, miss You.There is an emptiness in my life, that this beautiful, selfless lady occupied for 40 years and 2 days. Her obituary is available online at Ramsey Funeral Home in Georgetown, Texas. John Shotwell changed "Now" picture. John Shotwell has left an In Memory comment for Carol Bayless Fleming. My prayers and thoughts are with Carol's family. Carol and I were close at PHS before her family moved away. She was a wonderful, sweet compassionate person. She was caring and considerate of others. She was one of the kindest, sweetest and classiest young ladiest I have ever the privilege of knowing. News of her passing brings great sadness. I have fond memories of time spent with Carol. John Shotwell has left an In Memory comment for Profile. I was sad to learn of Ann's passing. She was a classy, kind and caring lady. Thoughts and and prayers are with her family. We will all miss her. We had kept in touch through social media. She was still quite clever and witty.